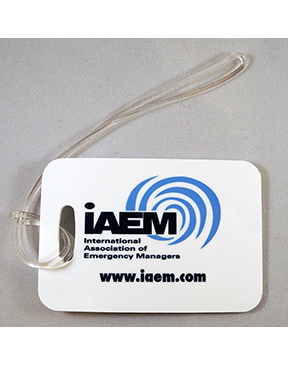 Set of two extra tough fiberglass reinforced plastic bag tag is both scratch and moisture resistant, meaning your personalized imprint will look better and last longer, front side imprinting capability only, clear plastic band included. Back is unimprinted. Dimensions: 4.00” x 2.75”.